While there wasn't a Timeranger 10 Years After Movie but the cast of Timeranger managed to get back together for a reunion movie. 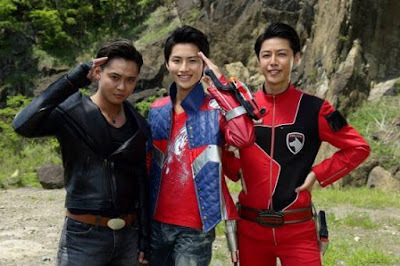 This time it's a new Super Hero Taisen movie that will feature the Timerangers as part of the cast. 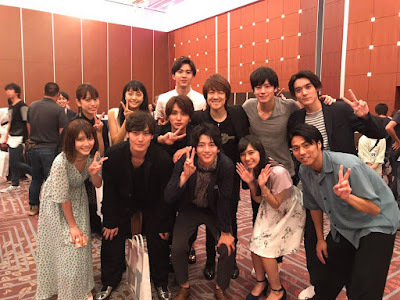 In fact, they will be the main focus of the cast and this will be slightly different than your average Super Hero Taisen movie. 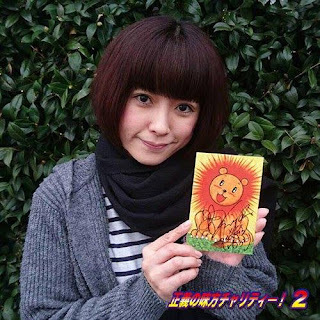 The movie links to the events of Gokaiger's 41st and 42nd episode. Mirai Moriyama is now a 16 year old teenager who has no idea who his father is. Honami is on the case as Japan's medical care is about to go corrupt. The future is plagued by overpriced medical care because of a shift in the timeline. The Timerangers have no choice but to return to the past but there's a couple of surprises. 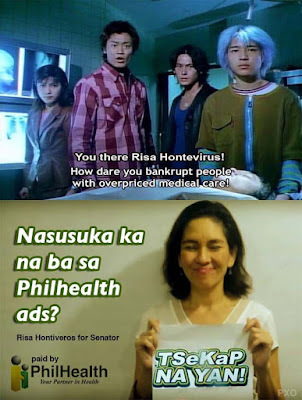 They found out that the villain Risa has been passing bills that gave the future overpriced medical care plus she's exploiting Japanese school children for her selfish reasons. This starts to hurts the past and Domon gets into the past. He finally sees his son but there's one more surprise. Mika Katsumura announces that her daughter with her ex-husband Yusuke Tomoi will appear in the film as Tatsuya's and Yuuri's daughter. It's revealed that Yuuri found out that she was pregnant with Tatsuya's child after they were torn apart by time itself. Both of them ended up banging each other late in the series. She couldn't tell him at all and she's never told their daughter who her father is. Tatsuya gets shocked knowing that Yuuri has been a single mother for 16 years and that he fathered her child. This doesn't sit too well as Tatsuya must now deal with his daughter whom he never new existed. Will father and daughter reconcile or will they be forever estranged by the thousand year gap? Risa will be played by Meisa Kuroki who acted as Fujiko Mine in the Lupin III film due to her similarity to the politician Risa Hontivirus. The Timerangers must stop this anomaly in the Japanese parliament before the year 3017 is doomed with more overpriced medical care. The plot also involves the Failed Heroes have taken over Japan. B.S. Man becomes the prime minister, Shippaiman is the new deputy prime minister and Gohan Heishi is the minister of defense. B.S. Man has been approving Risa's evil proposals which causes the year 3017 to be affected greatly. This also results to the Year 3017 being enslaved by Jark Matter because B.S. Man was an incompetent prime minister. Now they must stop Jark Matter's invasion and dethrone B.S. Man at the same time. Worse, one of the many reasons why the Japanese parliament is now a failure is due to B.S. Man's decision to use the Zaidorks as replacement for the Space Sheriffs who truly saved Japan. What's verified is that most of the cast of Kamen Rider EX-AID will appear in the film as their respective characters. Hiroki Iijima reveals that his character Emu Hojo is now a professional medical doctor and discovers that medical care has become unjust. 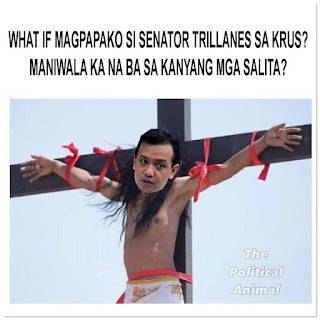 He notices something weird about the character of Risa as Japan's new Senator. The events supposedly take place after the True Ending movie of Kamen Rider EX-AID. However, Iijima says that the movie is non-canon so don't try to connect it to the events of EX-AID. It's verified that the cast of Gokaiger vs. Gavan will also show up for a more mature role. The Gokaiger vs. Gavan movie wasn't your average kiddie movie either. Yuuma Ishigaki, Takumi Kizu and Ryuji Sainei will play a part in this film. How the Kyurangers will get pulled into this movie is left to be seen. Kizu mentions that he looks forward to actually appearing in a M15 Toku movie as part of his acting experience. Screenshots of Zyumen including the Zyuohgers are last seen put into a Japanese zoo opened by B.S. Man and Shippaiman. The cast of Ninninger, ToQGer (who now appear as adults) and Kyoryuger may play minor roles in the film. Current progress is that there's currently some dispute within Toei Ltd. The producer Shinichiro Shirakura is enthusiastic to make the movie. On the other hand both Yasuko Kobayashi and Toshiki Inoue are willing to work together to make it a dark and edgy movie. On the other hand, both Gen Urobuchi and Shoji Yonemura trying to fight for the spot to get the writing tandem to make the story an outrageous one. Whether or not the movie will be comedic or edgy still remains to be seen. 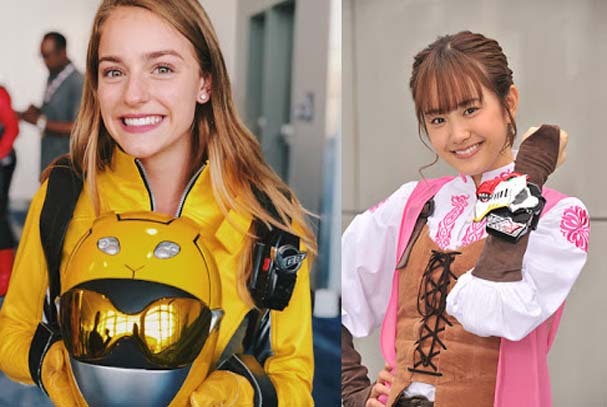 Toho company revives their "ChouSeiShin Series"(but non-canonically) but adds disastrous elements to rival Toei's titled "KiSeiJin(Yellow Star People) Koreiger"(For the 1st time, this is the 1st Toku show that will also air in the Philippines same as the time with Japan & it is also retitled GurangSazer in the PH) which features characters based on LP members & allies Ex-PNoy, Mar Roxas, Dinky Soliman, Etta Rosales, Leila Delima, Raissa Robles, Maria Ressa, Risa Hontiveros, Antonio Trillanes, Gary Alejano, Leni Robredo, Bam Aquino, Kiko Pangilinan, Kim Henares, Jim Paredes, Cynthia Patag, Agot Isidro, Chito Gascon, Korina Sanchez, & Kris Aquino. All of mentioned characters above are the ones will transform into "heroes" with "mighty armor"(the color of their suits is various shades of yellow). The Character based on Loida Lewis is going to be their mentor. A character based on Agnes Callamard is going to be their support(technically submentor). 20 people supporting each other has to combat the "threat" of Prime Minister Dejima Ryohei for "restricting" people's freedom, "forbidding" children going outside during nighttime(past 10:00PM), "silencing" karaoke singers outside their homes past 10:00PM, & banning smokers "freedom" of "enjoyment". But the fight is not without support as their Mentors will provide them henshin device to transform into GurangSazers & fight such "atrocities" & prevent the nation from being reformed the way they don't like. With supporters who don't know what they fight for & their love of protesting against the prime minister "powering up 100x", they can be fully "invincible" to "pwn" the nation. Tsuburaya Productions creates another Ultra Series airing after Ultraman Geed & it will be entirely different from your usual Ultra Shows titled "Ultra DaiKiKaiju(Great Yellow Kaiju) Teikoku(Empire)". Beatrix(role similar to Black Directive from Ultraman Leo) summons her Kaiju to "reform" the Earth similar to her planet & rule it. 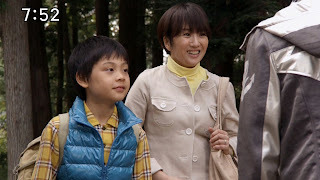 With her schemes being wildly condemned by people, she(Beatrix) orders Saba Bloome(role similar to Silver Bloome from Ultraman Leo) to eat those who oppose her. Chitoritto(role similar to Hipporito Seijin from Ultraman Ace) petrifies people for his misguided sense of human rights. MarMargo(role similar to Enmargo from Ultraman Taro) crushes heads with his giant hammer for refusing to film his actions to make look himself "helping" poor people. MarMarue(role similar to Babarue Seijin from Ultraman Leo) impersonates the competent prime minister to ruin his reputation & replace it with Beatrix rule. Garyanton(based on Zetton from Ultraman) creates chaos by posing as a soldier & attacks people everywhere he sees. Drillon(role similar to Gyeron from Ultraseven but way different) acts like a victim & absorbs money. & more disasters happened because of her. With those series of events, Ultras come back to Earth & (for the 1st time) Belial becomes good & joins them(+ he is also back to his Original Form & Ultraman King approves this) as they are so disgusted for Beatrix schemes & will fight them until the Earth gets in good condition. However, P Productions still planning their own version of "Failed Hero" with reviving their Lion Maru Series(temporarily) to mix them up. Takara Tomy version is still under planning as of this moment. Same goes for Amemiya Keita(Garo Series). Toei is still planning to revive Metal Heroes for this project but will have Rescue Police Series & B-FIghters as stars.